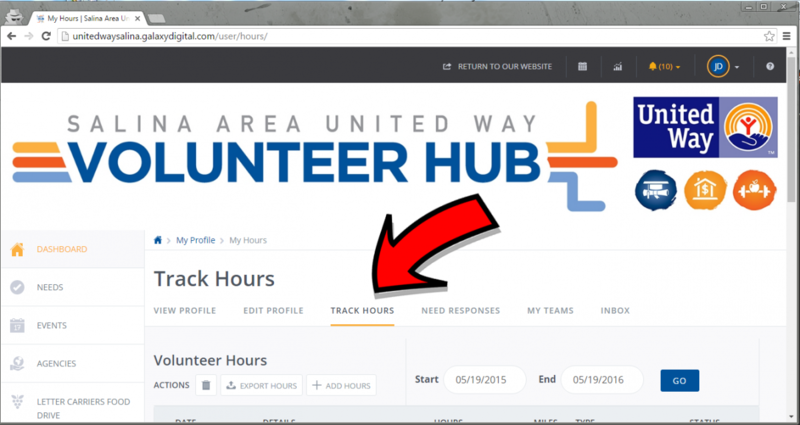 How to Track Volunteer Hours in Six Easy Steps. 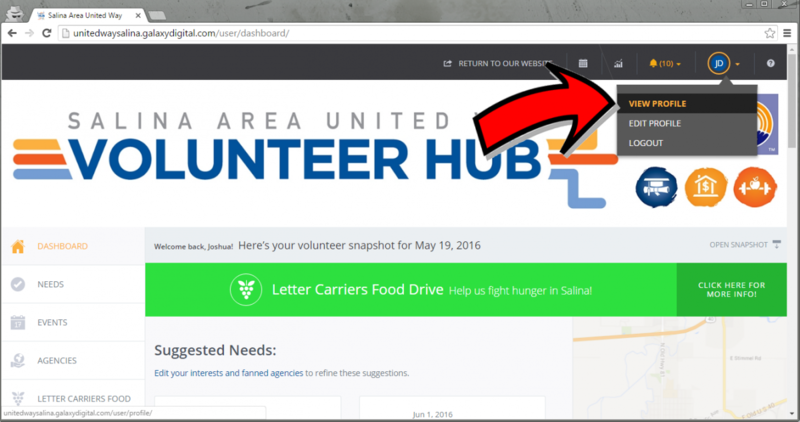 Go to volunteer.unitedwaysalina.org and click the LogIn button at the top of the screen, then enter your email address and password.  Click on the Circle in the upper right-hand corner of the page (if you haven't uploaded a profile picture, this circle will contain your initials). Select "View Profile"from the drop-down menu. 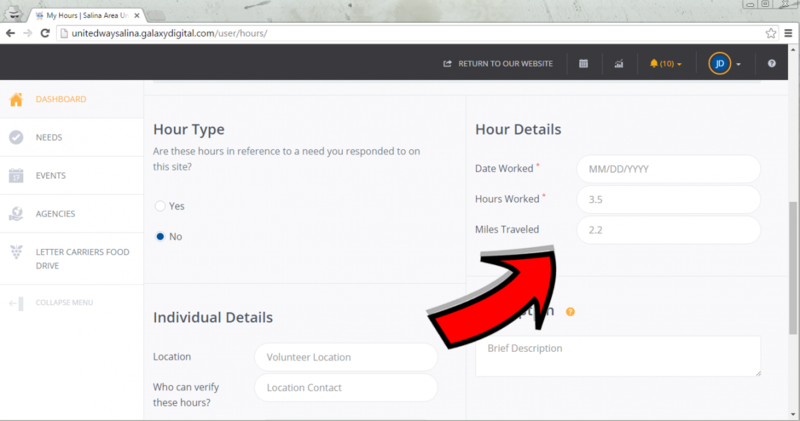 Click on "Track Hours" then scroll down to "Hour Type" and select "Yes" if you're entering hours for a volunteer opportunity you responded to through the Volunteer Hub. 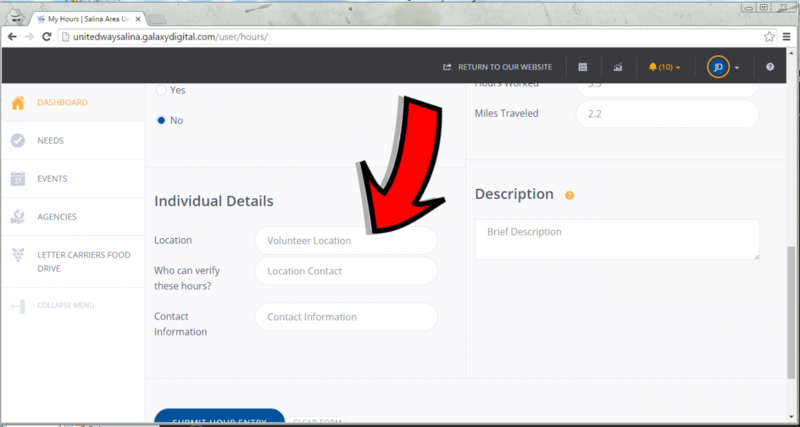 If you are entering hours for an outside volunteer opportunity (through a civic organization or church group, for example) click "No." 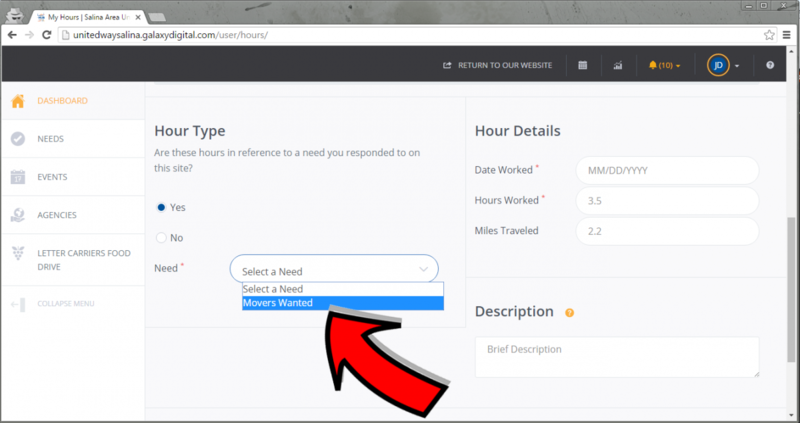 If you clicked "Yes" above, select the need for which you are adding hours from the drop-down menu. This list should contain all of the volunteer opportunities to which you have responded. 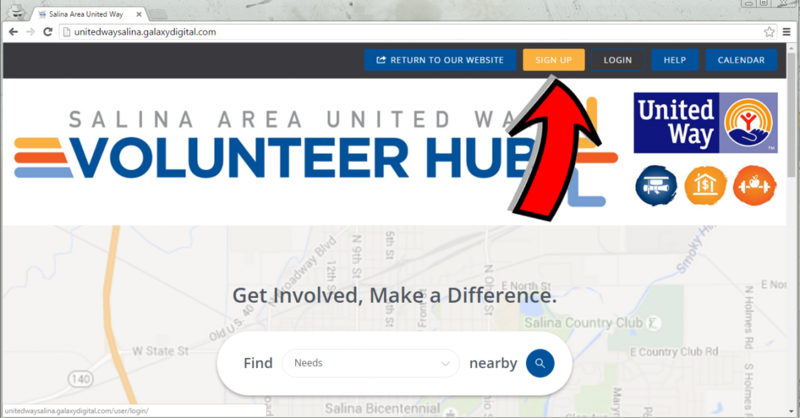 If you clicked "No" above, enter the location where you volunteered, the name of a contact person at that location who can verify your hours, and their contact info (either a phone number or an email is just fine). 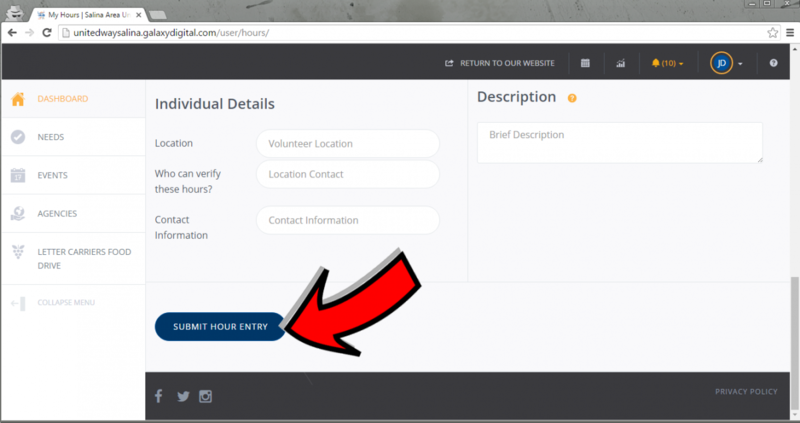 Don't forget to click "Submit Hour Entry" at the bottom of the page, and you're done!